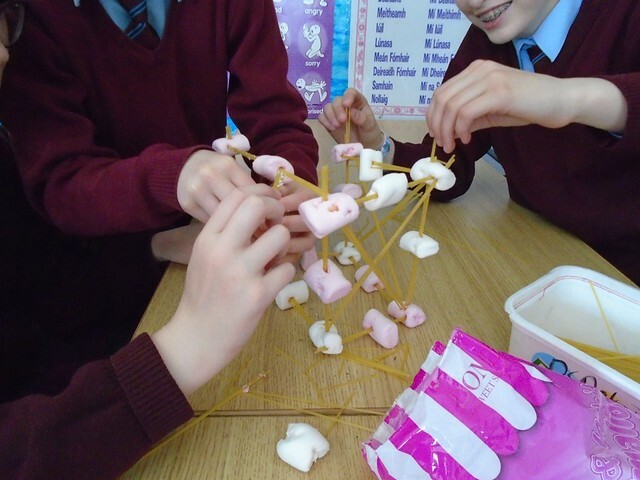 The girls in Ms.Delany's 6th class were encouraged to think like engineers this week with a fun Science experiment. Each group had to build a tall tower using just spaghetti and marshmallows! The girls experimented with making different shapes to see what structure was the strongest. To test the structure, a toy bus was placed on each tower to see if they could bear the weight... there was lots of excitement in the classroom to see which towers would stand tall and which ones would collapse!